Since my actual Terrarium Controller got serious problems with the usb power strip, I bought a raspberry pi and a Ninja Pi Crust to update the old System. 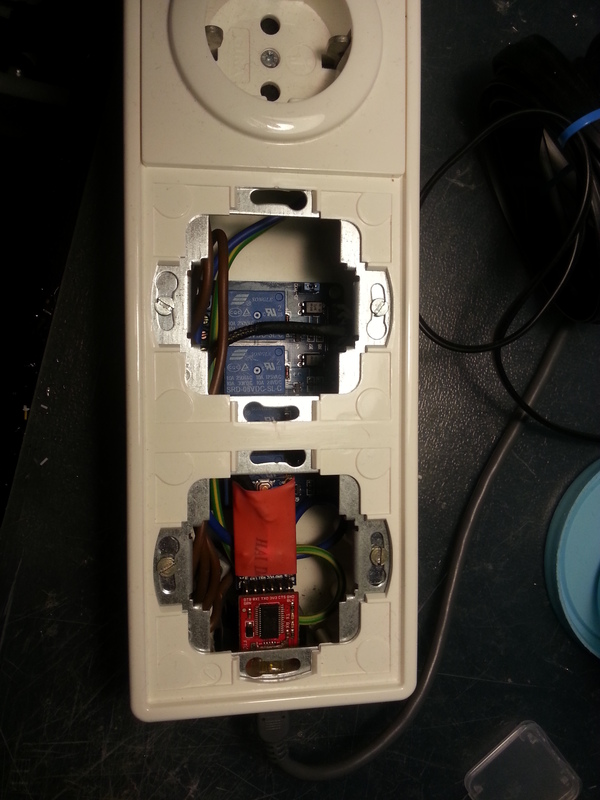 As power strip I used a 4 Port relay in combination with some “Aufputz” Power sockets and a Arduino Pro mini. The next step was to connect a 5V FTDI Adapter to the Arduino and place everything in the “Aufputz” case.